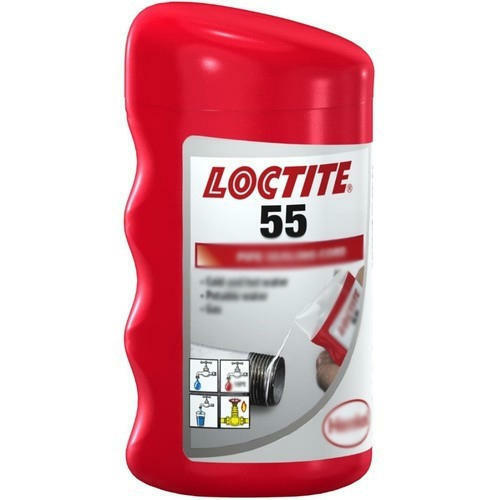 With our expertise and trustworthiness, we are engaged in offering an optimum quality range of Loctite 55 Pipe Sealing Cord. Established as a Sole Proprietorship firm in the year 2017 at Ludhiana (Punjab, India), we “R.R. Enterprises” are a leading Trader of a wide range of Strap Tape and Adhesive Sealant. We procure these products from the most trusted and renowned vendors after stringent market analysis. Further, we offer these products at reasonable rates and deliver these within the promised time-frame. Under the headship of “Mr. Gurpreet Singh” (Marketing Manager), we have gained a huge clientele across the nation.